It’s that time of year — the season when Jesus’ resurrection story gets a little mainstream attention. 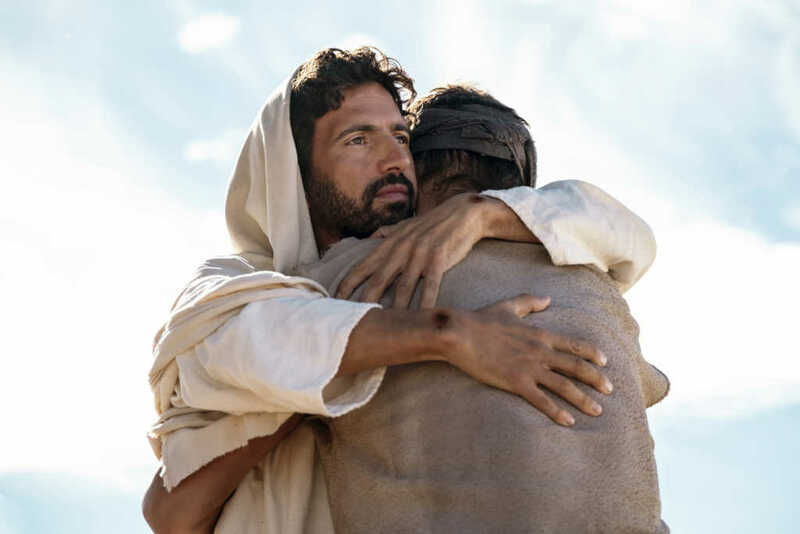 As Easter Sunday draws closer, History Channel is just days away from debuting its eight-part series about the life of Jesus, premiering Monday, March 25, at 8 p.m. ET. While the network’s upcoming docudrama is certainly not a new concept, the four-week program will tell the story of the Son of God by merging dramatic vignettes with diverse commentary from a host of religious and historical experts, each of whom approach the Gospel message from a different vantage point. The show will explore how eight biblical figures — Joseph, John the Baptist, Mary, Caiaphas, Judas Iscariot, Peter, Pontius Pilate and Mary Magdalene — knew Jesus. Author Joshua DuBois, who served as head of the White House Office of Faith-based and Neighborhood Partnerships under former President Barack Obama, spoke to Faithwire this week about the new series, “Jesus: His Life,” which was executive produced by televangelist and pastor Joel Osteen. DuBois answered some of our questions about the History Channel program, which will air through Easter. Some of his answers have been edited for length and clarity. What would you say to anybody who is a little skeptical about yet another Jesus series? Why do they need to see this one? Is it true to the Gospels? DuBois: Because of the way that it’s done, it really sort of brings Jesus out of a two-dimensional perspective and gives you a full, well-rounded view of who he is — fully God and fully man — through the lens of the people in his life who knew him best. Because we were able to see Jesus through Joseph’s eyes and John the Baptist’s eyes and his mother’s eyes, you know, everyone from Judas to Pilate and more, we see the spectrum from Jesus as a savior to Jesus as a threat to people. Putting that all together really gives us a three-dimensional view of Jesus, really for the first time I think on television in such a significant way. Why is it important for Christians to see God as more than just an abstract character but also as someone who was here on earth? DuBois: It’s so important to understand that Jesus was a man, someone who walked this earth in his 33 years and dealt with many of the same things that we deal with. He dealt with loss, he dealt with sorrow. He was obviously tempted in the wilderness, but fought and overcame that temptation. He had people pulling him in all sorts of different directions and so he had to navigate the relationships in his life. He had to make a decision, at one point, to leave the place where he grew up and leave some of those connections behind to go out and fulfill God’s will for his life. In so many ways, this series helps us see Jesus in a way where we can relate to him and we can understand when the Bible says, “Be ye perfect like I am perfect” — that’s something we can really attain for because he was able to achieve it, facing many of the things we face. Is it a good thing to have so much theological diversity represented in this series? DuBois: There’s a ton of diversity in “Jesus: His Life,” but there is a common thread that this is a show that is rooted in the Gospel and rooted in Scripture. This is not a critique of Scripture, this is not a critique of Jesus. There are commentators who have a firm basis in the Scripture and are commenting from that perspective. From that, there is a whole range of voices that you’ll hear. There are conservative New Testament scholars and there are African-American pastors and there’s even some folks from the Jewish community to provide some perspective on how that community sees some of these issues because obviously we’re talking about people, including Jesus, who are from the Jewish community. How can we look to series like this and apply its principles to be better advocates for the moral good in our culture? DuBois: I think “Jesus: His Life” is really a bridge-building series among folks from different walks of life and divides because Jesus himself is common ground that we can all stand on. His teachings, his message and believing in him is something that cuts across political ideology and race and age and geography and so forth. He obviously came to this earth for people of all backgrounds; that’s one of the things you see in “Jesus: His Life.” His ministry wasn’t just for the religious people, but it was for absolutely everyone and that you see on full release in this series. The way Jesus elevated women and other minorities was unheard of. Can you speak to that? DuBois: Women are front and center in Jesus’ life in a biblically based and scripturally accurate way. [In the series], you’re able to put yourself in Mary’s shoes, this tremendous responsibility of being the caretaker of a boy that you know is so special and will go on to be the savior of the world. What a responsibility that is. I also love — and think people will, quite frankly, be surprised — how the series treats Mary Magdalene. There are so many misconceptions and rumors. The series really debunks that and shows her for who she is, someone who supported Jesus. For more information or to find out how you can watch “Jesus: His Life,” click here.